Dr. Zobaa received the B.Sc.(hons. ), M.Sc. and Ph.D. degrees in Electrical Power & Machines from the Faculty of Engineering at Cairo University, Giza, Egypt, in 1992, 1997 and 2002. Currently, he is a Senior Lecturer in Renewable Energy at University of Exeter in Cornwall, UK. Also, He has been an Associate Professor at Cairo University, Egypt. 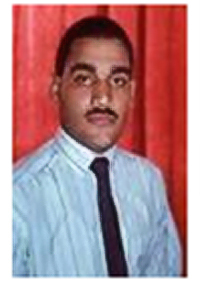 He was an Instructor in the Department of Electrical Power & Machines, with the Faculty of Engineering at Cairo University, Giza, Egypt, from 1992 to 1997, Teaching Assistant from 1997 to 2002, and Assistant Professor from 2003 to April 2008. Dr. Zobaa is an Editor-In-Chief for International Journal of Renewable Energy Technology. Also, He is serving as Editorial Board member, Editor, Associate Editor , and Editorial Advisory Board member for many international journals. Dr. Zobaa is a senior member of the IEEE Power Engineering / Industry Applications / Industrial Electronics / Power Electronics/ Education/ Professional Communication Societies. Also, he is senior member of the Association of Energy Engineers (AEE), the Alternative & Renewable Energy Development Institute, and the Facility Manager Institute of AEE. Also, he is a member of the Institution of Engineering and Technology, European Power Electronics & Drives Association, European Society for Engineering Education, the International Solar Energy Society, UK Solar Energy Society, and IEEE Standards Association.